Here at DRKA ECU Remapping Nottingham we offer a professional, low cost service using the latest ECU remapping technology and equipment. We are able to safely, reliably and significantly increase your BHP and torque by up to 35% and fuel economy by up to a staggering 20%. On your car, van or truck you have an on-board computer which is called an ECU (Engine control unit). On this ECU you have factory standard stored settings. By modifying these settings we are able to produce superb gains and make your vehicle more fun, responsive and economical. WHY CHOOSE DRKA ECU Remapping Nottingham? We pride ourselves in offering the best possible service to all our customers and we take good care of your vehicle. In fact the majority of our work comes from referrals. We guarantee our tuning remaps for life and with a money back guarantee you can be confident that our mobile ECU remapping service is the best available. We custom tune every file specifically for your vehicle from your vehicles original software and promise not to use unsafe so called off the shelf remap files. As these are unstable and could result in damage to your car, van or truck. We always save your original factory settings under your registation number. What will a POWER ECU REMAP do for my vehicle? What will an ECO ECU REMAP do for my vehicle? 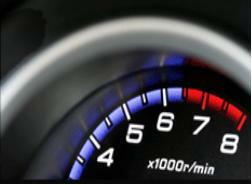 * Pull through in higher gears resulting in increased MPG. ECU Remapping has been around for many years. In most cases it can be performed via OBD port, this way it leaves no trace that your vehicle has been remapped. WHY DONT MANUFACTORS SEND CARS OUT AT THERE BEST? We get asked this quite often, the reason is that they like to sell you the SRi, GTi or XSi model. This is usually the same engine with a different map on the ECU. Another example of this is when cars have a “SPORT BUTTON” or “ECO BUTTON” this is either a switch able ECU map or the car has two ECUS’. Also with the pressure put on manufacturer to produce cars with lower exhaust emissions not higher MPG but lower emissions because of this cars, vans and trucks are not running to their best ability. Also because for example on a “VW GOLF” it is sent from factory with a ECU file that is detuned as theses cars are sent all over the world having to cope with counties at -25 to countries at +45. The quality of fuel can also vary enormously in different parts of the world. This is why when we REMAP your ECU we fine tune the parameters on the ECU to unleash your cars, vans or trucks true potential in less than 2 hours. 2. Once booked in at a time and place to suit you. (We come to your Home or Work). 3. In under 2 hours your car, van or truck will be transformed to be more powerful and more economical. Our professional ECU remapping service is priced from £150.00 and we will price match and even beat any like for like quote, we also offer a money back satisfaction guarantee. So what you got to lose, call us today to book a professional ECU Remapping service like no other. City Centre Nottingham, Sneinton, The Meadows, West Bridgford Nottingham, Rushcliffe, Carlton, Sneinton, St Ann’s, Mapperley, Sherwood, Arnold, Bestwood, Carrington, Top Valley, Rise Park, Bestwood Village, Bulwell, Old Basford Nottingham, Gedling, New Basford, Forest Fields, Hyson Green, Radford, Lenton, Aspley, Wollaton, Whitemoor, Bilborough, Beeston, Stapleford, Lenton Abbey, Chilwell, Trowell Broxtowe, Long Eaton, Sawley, Sandiacre Erewash, Clifton, Ruddington, Gotham, Kingston on Soar, Cotgrave, Radcliffe on Trent, Keyworth Rushcliffe, Bingham, Whatton, Bottesford, Aslockton Rushcliffe, Melton, Calverton, Lowdham Gedling, Hucknall, Ravenshead, Newstead Ashfield, Gedling, Kimberley, Eastwood, Nuthall, Langley Mill, Pinxton, Selston, Awsworth, Ironville, Jacksdale, Underwood, Brinsley, Watnall Broxtowe, Amber Valley, Sutton-in-Ashfield, Kirkby-in-Ashfield, Stanton Hill, Skegby Ashfield. Remapping Audi, Remapping Alfa romeo, Remapping Bmw, Remapping Chrysler, Remapping Citroen, Remapping Fiat, Remapping Ford, Remapping Hyundai, Remapping Jaguar, Remapping Jeep, Remapping Kia, Remapping Landrover, Remapping Mazda, Remapping Mercedes, Remapping Mini, Remapping Peugeot, Remapping Renault, Remapping Rover, Remapping Saab, Remapping Seat, Remapping Skoda, Remapping Vauxhall, Remapping Volvo, Remapping Volkswagen. Your Local Mobile Car Doctor!